A self-storage unit can be a useful organizational tool, but to do so, they must be efficiently packed and maintained. A unit full to the brim with mismatched boxes and no organization will serve little purpose. Instead, strive for a storage system that is easily accessible and benefits you, your family, or your employees by freeing up space in your home or office. Read on for some tips on how to make the most of your storage unit. Make a Plan : A well-organized storage unit starts before anything is actually placed in the storage unit itself. Begin by identifying all of the items you hope to include and sort them into piles based on frequency of need. For items you plan to access frequently, make room in the front of your storage unit. For those things you will only need to get to occasionally, plan on placing them near the back of the storage unit. Choose Your Unit : Once you have determined what you want to store, select a storage unit that is the appropriate size. Keep in mind that you will want to add additional space for moving around and between items. If you are unsure of how much space you will need, contact a Storage Specialist at any POUCH facility to help you determine the appropriate unit for your needs. Invest in Supplies : The right tools can help to maximize your organizational space. 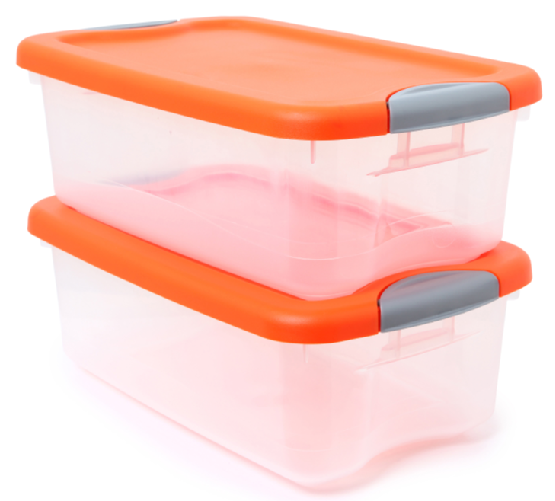 Use sturdy boxes or plastic storage containers as opposed to bags or other less structurally sound packing materials. Not only can boxes be easily stacked, but their universal size will make them easier to arrange and label. For breakable items, invest in bubble wrap or newsprint for the best level of protection. For all of your self-storage needs, contact POUCH Self Storage at (888) 258-9626. Serving the Orange County, Long Beach, Rancho Cucamonga, and Pasadena communities, we operate a full range of self-storage facilities . Contact us today to learn more about our clean, modern, and secure storage options.